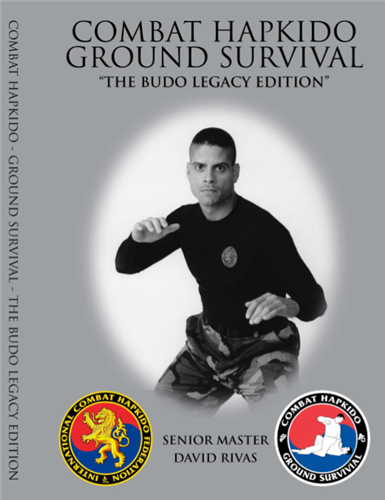 This special production, filmed at BUDO INTERNATIONAL’ state-of-the-art studio, is an exciting and dynamic overview of the “Combat Hapkido Ground Survival” Program, presented by its Founder and Director Senior Master David Rivas. This unique program is not about wrestling, ground grappling or sport BJJ. It is about street-proven strategies and tactics necessary to “survive” while on the ground (the most dangerous position to be in a self-defense situation), successfully fight back and quickly regain the stand-up, dominant position. The practical, effective and easy-to-learn techniques of Master Rivas’ “Combat Hapkido Ground Survival” have been praised and adopted by Law Enforcement agencies and Military units around the world. They can be easily added to the curriculum of any Martial Art /Style or Self-Defense program.